Ready to enjoy the magic eggs very fun game!Multiple eggs, multiple surprises, super multi-mysterious thing!Inside the eggs hidden in the end what rich reward? Constantlyknocking eggs, until the egg cracked up to see the egg inside inthe end contains a number of surprises and fun, the game is veryeasy to addiction Oh! Magical Eggs are perfect for kids and the best app that modernkids have to play is one of the ultimate virtual eggs that is theultimate surprise game. If your child likes to open the surpriseeggs, it must not miss this surprise burst of the game, forchildren, is a very perfect application, a play to play, classplay, class play, Sleep play, reading play, free from timeconstraints, the child will play to love the perfect surprisegame. 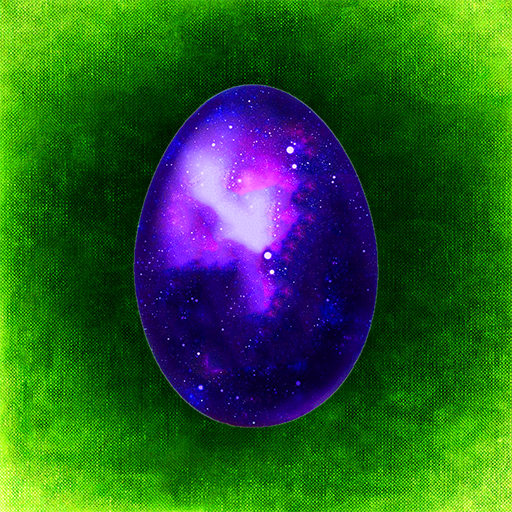 In this app, you will find lots of eggs and a variety ofinteractive surprises. You will find many different gifts tocollect, such as the Princess and other cartoon and moviecharacters, as well as children's favorite large number of toys,Cubs, puppets, dinosaurs, rabbits, cats, dogs and other toyswaiting for you to collect. Magical Egg is a fun and fun game for children, combining allsorts of toys with surprises and fun. Perfect for kids games, lots of different toys and surprises,let your kids learn and grow educational games. Absolutely not miss the game, come and play exciting magical egggame, enjoy the fun of constant surprises! So that your children learn to have to pay to have results, to geta sense of achievement toys, and efforts to click the process, is avery rare experience, you must work to have money can take theworld no free lunch, is the best children One of the educationalgames. Enjoy the Bubble Game! I believe that childrenwill want to see the bubble burst, as long as the non-stop poke,poke it one million, you can get a surprise yo!Come play, poke bubble games, absolute excitement, absolutely fun,absolutely intriguing.Bubble is a dispersion of gas dispersed in a liquid or a solid.Foam foam and foam glass bubble in the gas is solid in the bubble,the solid foam is a light porous sponge-like substance or lightporous rigid material, the foam is a bubble in the bubble, .In the case of gas / liquid dispersions, when the bubbles areseparated by a thick liquid film and are spherical, the foam isreferred to as a spherical foam, as if the internal phase were agaseous emulsion. But usually the volume fraction of the gas as thedispersed phase is very high and the gas is separated by the liquidfilm which is netted. Each bubble surrounded by the liquid film isdeformed into a polyhedron in order to keep the pressure balance.This kind of foam is called polyhedral foam . Polyhedral foams arecommonly referred to as foams in the gas / liquid system and can bespontaneously formed from the spheres by sufficient drainage. Inorder to maintain mechanical stability, always intersect in acertain way, for example, when the three bubbles intersect at 120 °when the most stable.Bubble is a large flow of strong and low density gas separated byliquid separation system, a large gas - liquid interface, isthermodynamically unstable system, it will automatically damage.The main reasons for the automatic destruction of the foam areliquid film discharge, membrane rupture and gas diffusion.It is difficult to form a stable foam only by a pure liquid. Athird substance, usually a surface active substance, is usuallyadded to form a foam. These substances having better foamingproperties are called foaming agents, alkyl Sodium sulphate andsodium alkyl benzene sulphonate are very common foaming agents.Sometimes need to add foam stabilizer foam has been formed morestable, lauryl diethanolamine is an example.On the contrary, many industries often because of the production offoam and inconvenience, then you need to join the defoamer tochange the state of the system surface, destruction or inhibitionof foam. It is usually low surface tension, less solublesubstances, such as C5 ~ C6 alcohols or ethers, tributyl phosphate,organic silicon and so on. The surface tension of the defoamer islower than the surface tension of the bubble liquid film, and it iseasy to take the original foaming agent on the surface of thebubble liquid film, and the short chain of its own can not form astrong adsorption film, so the cracks, Leading to foam rupture,play the role of defoaming.How to play:* Select the eggs to be pierced by surprise* Continue to surprise the egg until it has cracks* Surprise egg rupture, get unexpected surprisesMany people like to stamp air bubbles, must not miss this, containsthe great classic patience and perseverance classic witty game, youmust love to play, my favorite game. Enjoy the Bubble Game! I believe that childrenwill want to see the bubble burst, as long as the non-stop poke,poke it one million, you can get a surprise yo!Come play, poke bubble games, absolute excitement, absolutely fun,absolutely intriguing.Bubble is a dispersion of gas dispersed in a liquid or a solid.Foam foam and foam glass bubble in the gas is solid in the bubble,the solid foam is a light porous sponge-like substance or lightporous rigid material, the foam is a bubble in the bubble, .In the case of gas / liquid dispersions, when the bubbles areseparated by a thick liquid film and are spherical, the foam isreferred to as a spherical foam, as if the internal phase were agaseous emulsion. But usually the volume fraction of the gas as thedispersed phase is very high and the gas is separated by the liquidfilm which is netted. Each bubble surrounded by the liquid film isdeformed into a polyhedron in order to keep the pressure balance.This kind of foam is called polyhedral foam . Polyhedral foams arecommonly referred to as foams in the gas / liquid system and can bespontaneously formed from the spheres by sufficient drainage. Inorder to maintain mechanical stability, always intersect in acertain way, for example, when the three bubbles intersect at 120 °when the most stable.Bubble is a large flow of strong and low density gas separatedby liquid separation system, a large gas - liquid interface, isthermodynamically unstable system, it will automatically damage.The main reasons for the automatic destruction of the foam areliquid film discharge, membrane rupture and gas diffusion.It is difficult to form a stable foam only by a pure liquid. Athird substance, usually a surface active substance, is usuallyadded to form a foam. These substances having better foamingproperties are called foaming agents, alkyl Sodium sulphate andsodium alkyl benzene sulphonate are very common foaming agents.Sometimes need to add foam stabilizer foam has been formed morestable, lauryl diethanolamine is an example.On the contrary, many industries often because of the productionof foam and inconvenience, then you need to join the defoamer tochange the state of the system surface, destruction or inhibitionof foam. It is usually low surface tension, less solublesubstances, such as C5 ~ C6 alcohols or ethers, tributyl phosphate,organic silicon and so on. The surface tension of the defoamer islower than the surface tension of the bubble liquid film, and it iseasy to take the original foaming agent on the surface of thebubble liquid film, and the short chain of its own can not form astrong adsorption film, so the cracks, Leading to foam rupture,play the role of defoaming.How to play:* Select the eggs to be pierced by surprise* Continue to surprise the egg until it has cracks* Surprise egg rupture, get unexpected surprisesMany people like to stamp air bubbles, must not miss this,contains the great classic patience and perseverance classic wittygame, you must love to play, my favorite game. It is a new way to enjoy surprise eggs. There is a claw and 50levels to complete. Find your favourite charecters toys and enjoywith the game.This is a fun prize claw machine simulator, it has arealistic physics that you will feel the same as playing in a realmachine. There are so many toys like spiderman, minions, princess,heroes and more.How to play:- Each level has a mission tocomplete.- Move claw with joystick and pick up the surprise eggs.-Bring claw to lane to open eggs.- Find the correct toys to pass newlevels.Features:- More than 250 toys to collect!- New 2D graphicswith machine, claw and joystick!- Easy to play!- Cool surprise eggsand toys!Join fun and enjoy it! You need tap on the egg and crack the shelltoopen the egg. Collect all creatures !!! !You need tap on theeggand crack the shell to open the egg. Collect allcreatures!!!! Click into the Egg 1,000,000 times and it will be cracked!Enjoy thegame! Egg Crush is the crushing egg game with amazing powers andbeautiful graphics with three different modes Classic, Challengeand Timed. It's best in all jewel, diamond, bubble, gem, ruby,candy, fruit, cube elimination games. Also best in dash, match,crush, rush, blast diamond games. Match three eggs of the samecolour to clear them. This is just simple but addictive game whichyou loves to play. After playing game you will feel that it is bestgame ever you have played. Game attracts you with beautifulgraphics and lovely animation. You will enjoy game and it'sspellbound animation while playing with Eggs. Enjoy action bycrushing eggs. You have powers to clears levels very quickly. Ifyou wants to play simple mode then try classic mode. It's so easymode just crush certain eggs in limited time. If you wants somemore challenge then goto challenge mode. Where you founds somechallenging tasks. You have so limited time to clears more eggs.You have to play it with good concentration otherwise your gamewill be over. You can called it to funny game, nice game, goodgame, action game, arcade game, board game, puzzle game. It's allin one. Once you download it, you will loved it. Features of thegame: - Amazing environment - Beautiful egg crushing animation -Three different modes to play with egg - Four different powers withexcellent features a) Connectors b) Thunder c) Bomb d) Color Bomb -Share score with your friends via Facebook Amazing PowersConnectors - It will help you to connect either vertical orhorizontal eggs of different types. Bomb - It will clears 25 eggsof the board with beautiful animation. If you have two or more bombnearer to each other then you would have more fun. Row/Column - Itwill crush entire vertical column or horizontal row of eggs in onetap with wonderful thunder animation. Color bomb - It selectsrandomly one color egg and clears all eggs of the same color. Allpowers are comes randomly from above, also it will helps you tocomplete level very quickly and entertain you by beautifulanimation. Game have following four modes: Classic Crush the egg ofthe same type by tapping one of them if they are in a block of 3 ormore. A block can be formed in minimum of 3 egg. Hens areintroduced on board when certain amount of eggs are crushed. Youwill need to set out the Hens at the slots to clear the level.Timed Complexity will increase as the new eggs will comes frombottom and you would need to make hurry to complete the level. Ifthe eggs reaches to the top, you are gone. There is time limits tocomplete the level. You have to crush certain number of eggs inlimited time to complete the level. Challenge This is almost sameas "Classic" mode. You have to crush certain number of a eggs andhave to fill up whole slider within time limit to move to the nextlevel. Since it's name says Challenge, You have to crush eggs veryspeedily to complete the level in given limited time. Thank You. There are 12 different surprise eggs to use to knock down boxes.Really funny eggs inside the game. There are 50 diffirent andenjoyable levels. It is an easy-play game. Pull surprise eggs andlet them to go to knock down the boxes.How to play:- Pull surpriseeggs and set to goal- Let surprise eggs to go to crash with boxes-Knock down all boxes to go to next levels- Collect points to opennew surprise eggsEnjoy it! Let us break the egg of the dragon by strikingon it all together!Strike the egg. The counter will count each strikes. Send theCounter to the server. The total more strike needed to break theegg Would be reduced. When total needed strike becomes zero, aDragon appears!It is difficult to strike all by alone. So let's play together withother people.How to play:Strike the egg by touching on egg.See your strike count is increased and displayed at bottom.At the top of screen, total more strike needed to break the egg isdisplayed.Touch on your strike counter to send your strikes to server.Also click on update button to update more strikes needed ontop.let's play and make the Dragon appeared!! * Have you ever thought how good your memory or how fast is yourhands? Let's try the "Egg Store", a new game if you want to win youhave to use your excellent memory and agility dexterity of thefingers. With a simple way to play, you only need to remember theposition of chicks and snakes and wait for the right time todestroy the sinister snakes and collect all the chickens. Be quickhands, quick eyes and take your mind to win. Good luck and much fun!!!. How to play: * One of acquaintance store owner helped build anegg the scanner that can help classify the eggs , but unfortunatelythe eggs are preparing to hatch. Use your quick eye to detect whichare the snake eggs to destroy them and collect the chick eggsbefore they become prey for the snakes. You will get the task foreach level before the game start. Try to collect a sufficientnumber of eggs and requirements as much as possible to fill thestore with the golden eggs. I wish you success. Ready to enjoy the magic of the eggs 2 veryfun game! Multiple eggs, multiple surprises, super multi-mysteriousthing! Inside the eggs hidden in the end what rich reward?Constantly knocking eggs, until the egg cracked up to see the egginside in the end contains a number of surprises and fun, the gameis very easy to addiction Oh!Magical Egg 2 is perfect for kids and the best app for modern kidsis one of the games that must be played and is the ultimatesurprise egg virtual simulation game. If your child likes to openthe surprise eggs, it must not miss this surprise burst of thegame, for children, is a very perfect application, a play to play,class play, class play, Sleep play, reading play, free from timeconstraints, the child will play to love the perfect surprisegame.In this app, you will find lots of eggs and a variety ofinteractive surprises. You will find many different gifts tocollect, such as the Princess and other cartoon and moviecharacters, as well as children's favorite large number of toys,Cubs, puppets, dinosaurs, rabbits, cats, dogs and other toyswaiting for you to collect.Magical Egg 2 is a fun and fun game for children, combining allsorts of toys with surprises and fun.Play Description:* Select eggs to open* Keep clicking the magic eggs with your finger* Until the eggs crack open to get the toy so farPerfect for kids games, lots of different toys and surprises,let your kids learn and grow educational games.Absolutely not miss the game, come and play exciting magical eggs 2game, enjoy the fun of constant surprises!So that your children learn to have to pay to have results, to geta sense of achievement toys, and efforts to click the process, is avery rare experience, you must work to have money can take theworld no free lunch, is the best children One of the educationalgames.Eggs, also known as eggs, are birds, reptiles and amphibiansborn with hard shell eggs, fertilized after hatching small animalsfor human consumption has been thousands of years of history. Eggsare protected by eggshells, while proteins and egg yolks arewrapped in a variety of films.Egg yolks and whole eggs store large amounts of protein, cholineand other nutrients. Therefore, the US Department of Agriculturewill be the egg in the diet pyramid defined as meat.The most commonly used human eggs are eggs (aka chicken), the othermore common for eating eggs are duck eggs, quail eggs, goose and soon.This is a very educational game, the egg is one of the veryhealthy food, when you play this application, but also tounderstand the important value of eggs, as well as for us to growthe necessary food , We have to eat in addition to outside, butalso to understand how the egg is generated, this game witheducation and the merger of the application, just what you need,please hurry to download and play, and all, there are specialsurprises prepared for you It! . .